1 Program features and availability may vary by country. For more information, visit http://www.hp.com/learn/suresupply. 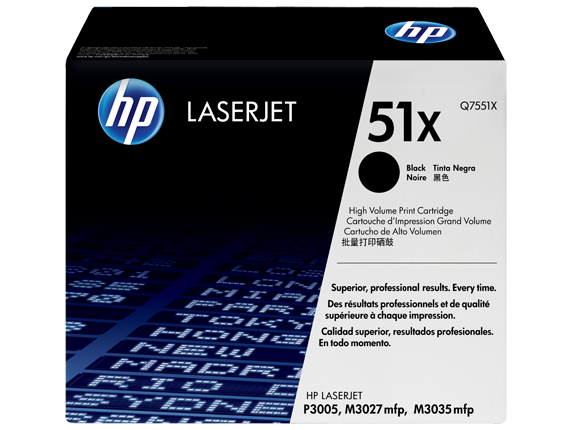 Order consolidation available on printers with HP Easy Printer Care Software installed. 2 Program availability varies. HP printing supplies return and recycling is currently available in more than 40 countries, territories and regions in Asia, Europe and North and South America through the HP Planet Partners program. 3 Declared yield value in accordance with ISO/IEC 19752. 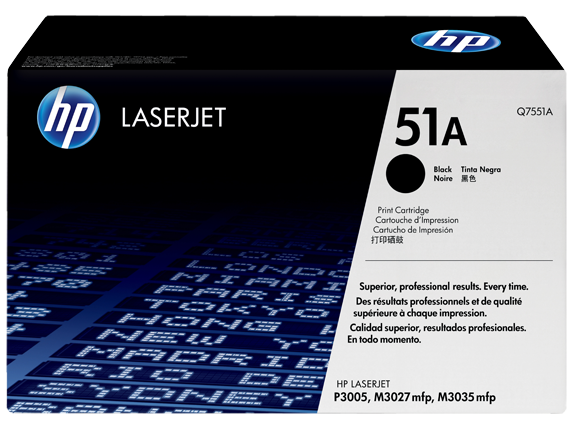 4 Based on cartridge yields for HP 51A compared with HP 51X Original HP toner cartridges. For more information, see http://www.hp.com/go/learnaboutsupplies.